The Generating Station and Spillways (GSS) Civil Works is one of the largest contracts awarded for the Site C project, which is a dam and generating station in northeastern British Columbia (BC). The GSS Civil Works is the portion of the Site C project that AFDE Partnership is responsible for constructing. The contract includes construction of the generating station (or powerhouse) and penstocks, spillways and power intakes, and minor concrete work around the site. The GSS Civil Works is a big job. AFDE Partnership will place approximately 700,000 cubic metres of mass and reinforced concrete for the spillways, powerhouse, and penstock encasement—that’s equal to 280 Olympic-size swimming pools of concrete. AFDE is also responsible for processing and production of all aggregates and granular materials required for the works. The project will use 34,000 tonnes of rebar, equal to 4.5 Eiffel towers. Once complete, the formed surfaces of the GSS will be enough to cover 63 National Football League football fields. More details about works scope components can be found below. The powerhouse will be the heart of the Site C dam. It is the facility that receives the water from the reservoir via the penstocks and runs it through the turbines, using it to create energy for the electric system, before releasing that water back into the river. There will be six penstocks, which are large water conveyance pipes made of steel encased in concrete. Each penstock measures 10 metres in diameter and 80 metres in length, nearly as wide as a three-lane highway. The procurement, fabrication, and erection of the penstocks is within AFDE’s scope of work. Spillways are a prime safety feature of the dam and are typically only used during freshet and flood events. Looking from the bottom of the spillways to the top of the headworks will be the same as staring up at a 28‑story building. Each spillway bay will be equivalent to a 17-story water slide that is five highway-lanes wide. 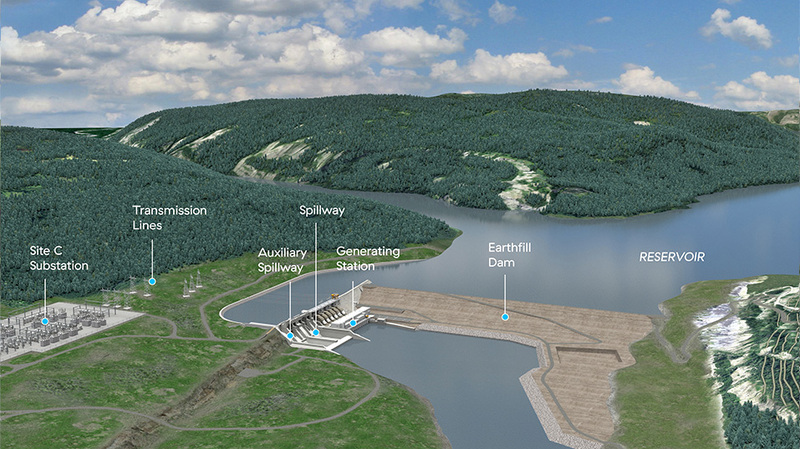 The Site C project consists of a dam and generating station on the Peace River in northeast BC. 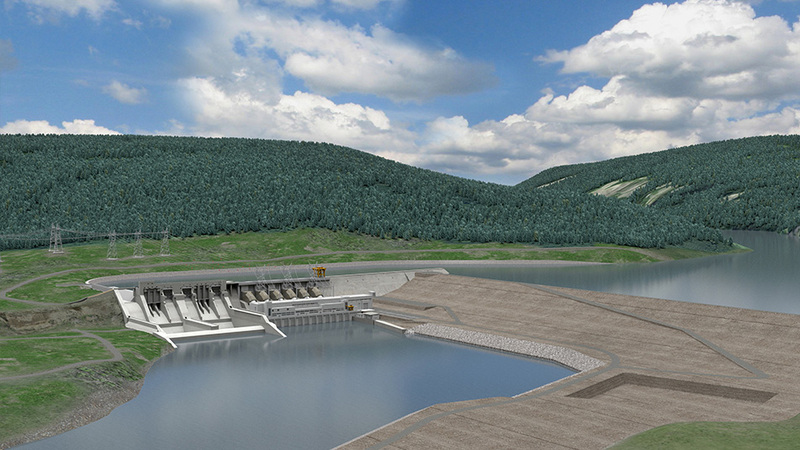 It will be the third dam to be built on the Peace River, owned and operated by BC Hydro. Once completed, the project will provide 1,100 megawatts of capacity and about 5,100 gigawatt hours of energy each year to BC’s integrated electricity system – enough energy to power the equivalent of about 450,000 homes per year in BC. Curious about what the Site C project entails and how GSS Civil Works fits into the overall project? The image below showcases the various components of the Site C project.